My Baggage offers student shipping to and from the University of Cambridge. If you’re studying at Cambridge University, My Baggage can give you a helping hand with getting your luggage there. We provide an affordable, quick and reliable student shipping service to and from college accommodation at Cambridge every term. You can send up to 30kg from £16.99, saving you money on airline baggage charges and the hassle of carrying heavy luggage by car, bus or train. There are 31 different colleges at Cambridge University, each offering accommodation to students. Undergraduate students are required to stay in university accommodation during their first academic year. The option to stay is also available to second and third year students, and the majority choose to do so. The academic year at Cambridge University is divided into three terms and three periods of vacation. During vacation, some colleges ask students to vacate their rooms so that scholars and visitors to the university can stay. At the very end of the academic year, all students are required to leave their rooms. Certain colleges provide some student storage, but for those who prefer to bring their belongings home, there’s My Baggage! 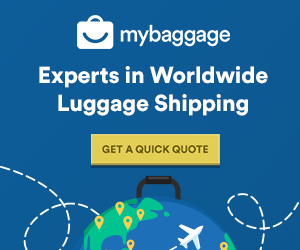 My Baggage is the No.1 Student Shipping company for students at the University of Cambridge. We provide an efficient and safe luggage shipping service for hundreds of Cambridge University students every term. We’re experts at this sort of thing, so you can trust us with your belongings. All you have to do is book online, then we will send you some labels to print and attach to your luggage. After that, we’ll collect your item and deliver it to where it needs to go. We provide full online tracking and offer email and text notifications to update you with the whereabouts of your item each step of the way. Where is my luggage collected? If you need your luggage collected from home, we’ll pick it up straight from your front door. And if you need luggage collected from your university accommodation, please ask your college where the luggage drop off point is. Every college at Cambridge has a Porter’s Lodge or luggage room where luggage must be left. This is because drivers are not permitted to collect luggage from students’ individual rooms for security reasons. Where is my luggage delivered? Again, if your luggage is being delivered to your home, we’ll bring it straight to your front door. If it is being delivered to your university accommodation, it will be left in your college’s Porter’s Lodge, postal room or luggage drop off point. In Cambridge you’ll notice that a very large number of people choose to travel by bicycle, as it’s a more efficient mode of transport in this little city. As a world renowned university, Cambridge University is home to a large number of international students from all corners of the globe. Fortunately, we offer affordable international student shipping and luggage delivery to over 200 countries worldwide.